My SolarQuotes business owns and operates Australia’s most popular solar-quoting website. 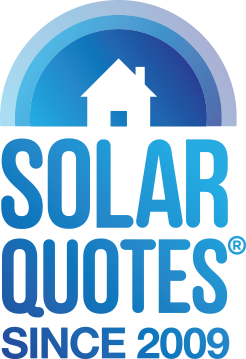 We make it easy to get up to 3 quotes for high quality solar from pre-vetted installers. Since 2009 almost 350,000 Australian homes have registered with our website to get quotes. SolarQuotes was started by me, Finn Peacock, in early 2009, back when a 1kW system cost $10,000 and residential solar systems were rarer than rocking horse poo. I was working for CSIRO at the time, in their renewable energy division (having left the mining industry to follow my passion for solar). As I learned more about solar power, I quickly came to realise that solar was going to be huge in Australia, with prices of panels falling, their efficiencies rising and grid electricity getting more and more expensive. But when I talked to people outside of CSIRO who were considering solar, I soon found out that they were craving independent advice and above all reassurance that the prices they had been quoted were reasonable, the hardware was good quality and the installation was safe. Indeed with one mob going round flogging a $10k system for $25k there was an urgent need for people to get multiple quotes from honest installers. And so the business was born. SolarQuotes now has a staff of 10, over 250 solar installer clients nationwide and operates out of Adelaide CBD. Learn more about Finn Peacock on his bio page or contact Finn here.